Synopsis: In 1988, a teenage girl’s life is thrown into chaos when her mother disappears. Thoughts: Star Shailene Woodley has been on a roll ever since making an impressive bid for stardom opposite George Clooney in The Descendants. 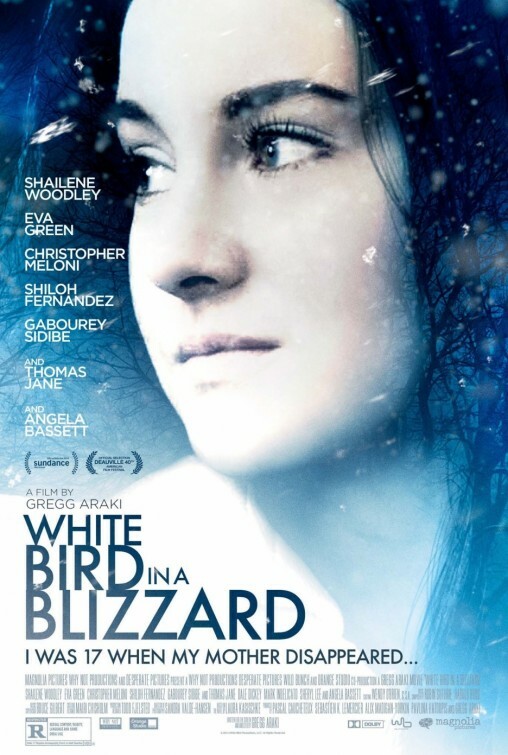 In 2014 alone she’s been an action star (in the otherwise forgettable Divergent), broke YA hearts (as a cancer teen in The Fault in Our Stars) and now takes on another dramatic role in Gregg Araki’s coming of age tale White Bird in a Blizzard. With Araki’s history of putting the squeaky clean youth of Hollywood through his adult blender, expect Woodley to mine new ground and bare all (literally) as a teen affected by the disappearance of her unbalanced mother (Eva Green, Cracks) in the late 80s.